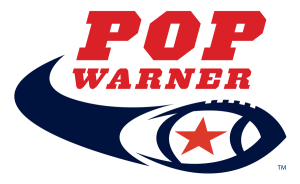 Pop Warner’s overall goals are to enable young people to benefit from participation in team sports and activities in a safe and structured environment, and by establishing a Challenger Division, Pop Warner is providing an opportunity for everyone to participate on the sidelines cheering on the local football team or performing as a team before a Pop Warner audience. The philosophy of the Pop Warner Challenger Division is to provide the framework for local Pop Warner programs to offer a structured football, cheer and dance programs for participants with special needs. The Challenger program is non-competitive and no score or score sheet is kept. The games are modeled after a typical Pop Warner Flag Football game with warm-ups, coin toss and national anthem etc. A Challenger Cheer or Dance team may also perform an exhibition performance in the Pop Warner Championships. Participation in the Challenger Division is permitted at the request of the individual’s parent or guardian.